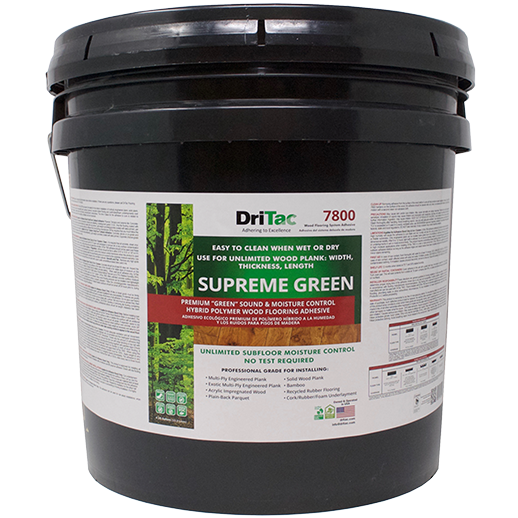 DriTac 7800 Supreme Green is a single-component, premium "green" sound and moisture control hybrid polymer wood flooring adhesive that can serve to isolate old cutback adhesive residue and suppress concrete subfloor cracks. Supreme Green is DriTac’s latest and most ground-breaking multifunctional adhesive solution for the wood flooring industry. DriTac 7800 provides unlimited subfloor moisture control with no testing required and a lifetime warranty! Requiring effortless cleaning off the surface of wet or dry hardwood flooring, this pioneer in “green” flooring solutions provides tremendous value for installers, retailers, and their customers. This is the very first wood flooring adhesive that boasts five installation solutions in one pail, allowing retailers to now stock one sku in place of the several required in the past. Supreme Green contains zero isocyanates, zero VOCs, zero solvents, and has been independently tested and certified by CRI for Indoor Air Quality. DriTac 7800 is manufactured in the USA and can be used to install multi-ply engineered plank, solid wood plank, bamboo flooring, and more. Intricate geometrics inspired by whimsical retro patterns find new form in Emser Tile’s Myth series. 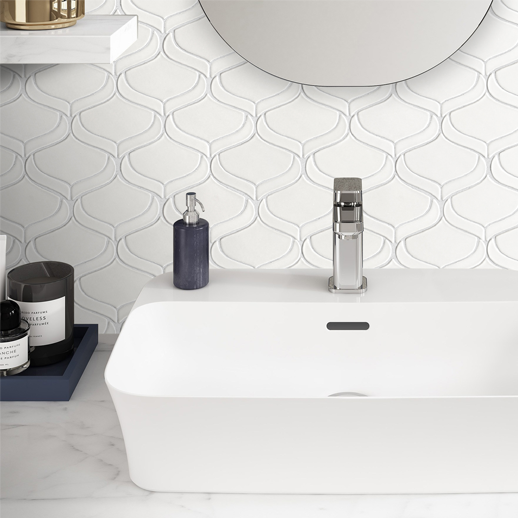 Arabesque, petal, and wave ceramic motifs emerge in white, light gray, and pewter tones for a multi-dimensional focal point. Invite modern, matte backsplashes and bold surface designs to today’s kitchens, baths, and accent walls with Myth. FlooringStores is the most trusted online destination for the floor covering industry. 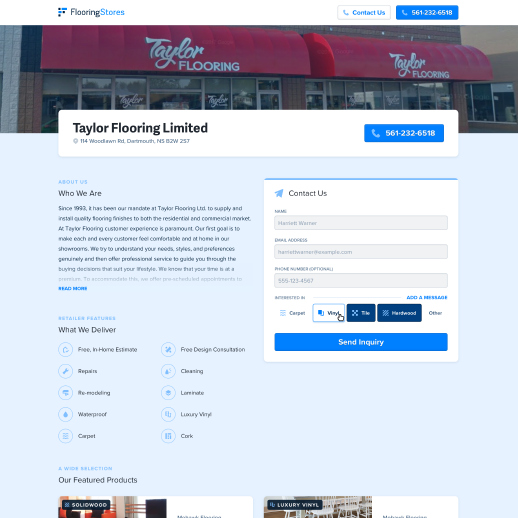 We help consumers make informed purchase decisions from verified flooring retailers and manufacturers.